Unlike Bitcoin or Ripple, it belongs to the inflationary currencies. There are currently a good 114 billion Dogecoins in circulation and the price trend is very volatile, but tends to rise. Due to its popularity in the Internet community, the Dogecoin is often used for fundraising activities, such as the participation of the Jamaican bobsleigh team in the Olympic Games or well projects in Kenya. The Dogecoin is a litecoin derivative that was released in the USA on December 8, 2013. The brain behind the Dogecoin is the IBM software developer and video game fan Billy Markus, who recently attracted attention with the crypto currency “Bells”. This was inspired by the currency of the Nintendo game “Animal Crossing” – an equally funny motto, which, however, could not exist. Originally the Dogecoin, like the Litecoin, was limited in its maximum number. But the limit of 100 billion Dogecoins was lifted. In terms of speed, the Dogecoin outshines its competitors: a miner only takes about a minute to confirm a transaction. Even though the Dogecoin is probably the funniest of all crypto currencies and has also chosen the cute dog breed Shiba Inu as a symbolic figure, the goal pursued is serious. The crypto currency is to serve as an alternative, decentralized online payment system that is simple, fast and accessible to many people. Trading Dogecoin: Where can I buy and sell Dogecoin? If you want to buy Dogecoin, you don’t have a hard time. Dogecoin is now traded on a number of stock exchanges. Nevertheless, it is by far not as widespread as Bitcoin or Litecoin, for example. 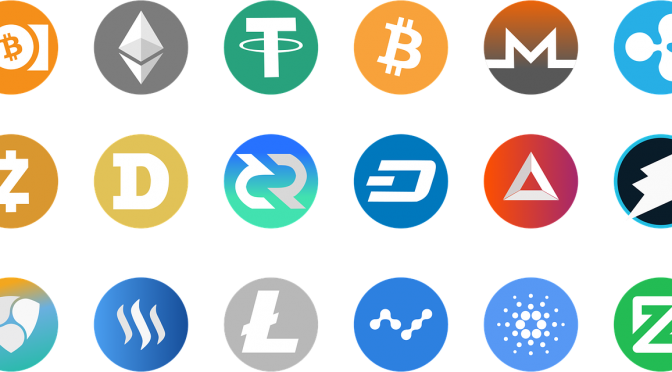 Only a few exchanges, such as Yacuna, Prelude or CoinMKT, offer direct exchanges for fiat currencies such as the euro or USD. Different means of payment (PayPal, bank transfer or credit card) can be used. The exchange for Bitcoins or Litecoins is much more common. This can be done at all major crypto exchanges (e.g. Bittrex, Binance, CoinGecko). There are also a few ATMs in Canada and Mexico that support Dogecoin. To buy or sell coins, you must create an account at the exchange of your choice and then set up a wallet where you can store your coins. All you usually need is your identity card, name and e-mail address. Many stock exchanges have minimum amounts (usually around 100 euros). The transaction costs are between 0.5 and 4% of the total amount. Other stock exchange fees are normally not incurred. In the first three years, the Dogecoin price hardly moved at all: one coin was worth barely more than USD 0. From April 2017, the price rose significantly, then it shot up in the general crypto-currency boom (end of 2017/beginning of 2018). Dogecoin reached its maximum value at the beginning of January 2018 with 0.019 US dollars per token. However, it was unable to maintain this level and crashed shortly afterwards (very similar to the course of the litecoin). After market capitalization, Dogecoin is in the top 50 of all crypto currencies worldwide. In general it can be said that the Dogecoin exchange rate, as with all crypto currencies, is subject to particularly strong fluctuations. In the past, price movements of +300 percent to -300 percent were possible within 72 hours. Dogecoin mining is possible and works in the same way as Litecoin mining. The proof-of-work algorithm SHA-256 with the key derivation function “scrypt” is used. This combination ensures a much less error-prone encryption and increases the security of the mining. Unlike Bitcoins, for example, Dogecoins can also be mined with simple PCs. About 5.256 billion new Dogecoins are produced every year. This maximum output is fixed and clearly underlines the Dogecoin’s inflationary system. The reason for the large output is that the creation of a new block in the Dogecoin network only takes a minute. Like most other crypto currencies, Dogecoin uses blockchain technology. All transactions are performed and managed in the distributed peer-to-peer network using open source software. Dogecoin does not rely purely on the SHA-256 algorithm, as his Litecoin template does, but on a combination with the scrypt function.